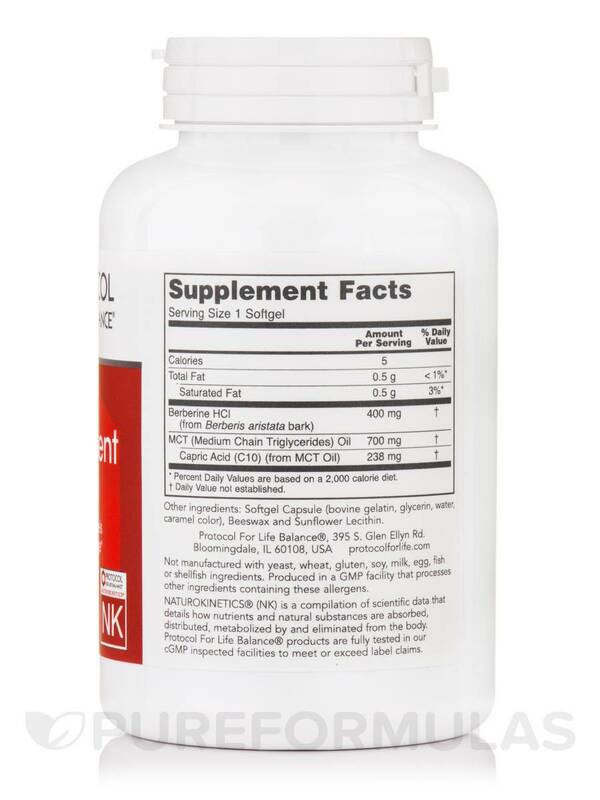 Supports Glucose and Lipid Levels already within the Normal Range! Berberine is a natural constituent of herbs such as goldenseal‚ Oregon grape‚ and barberry. 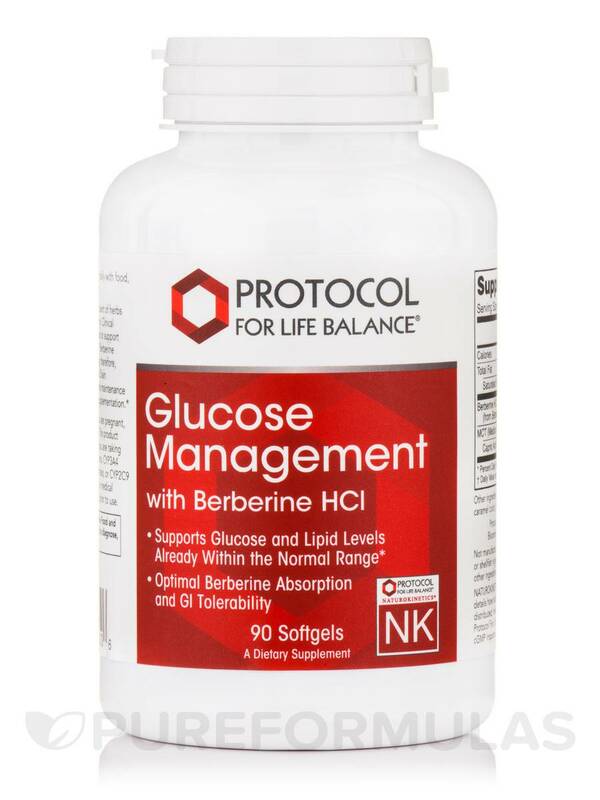 Clinical studies have demonstrated that Berberine helps to support already normal glucose and lipid metabolism. 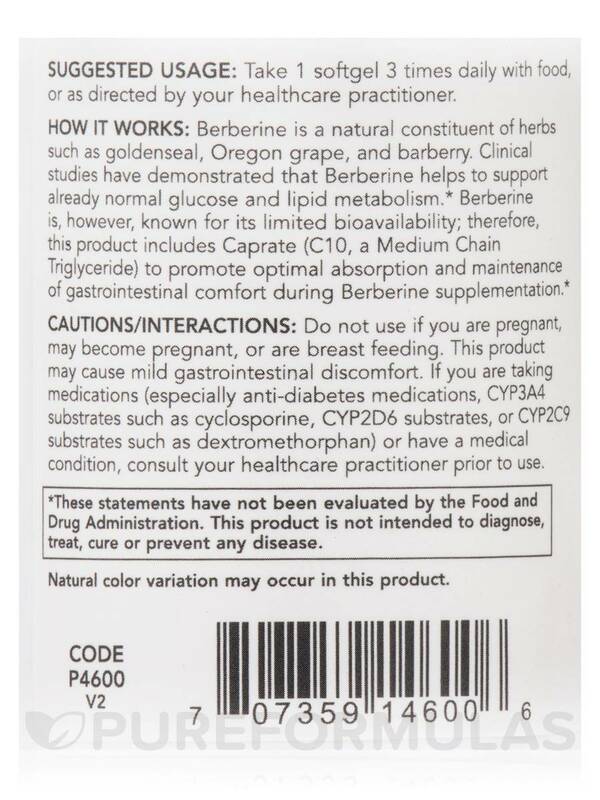 Berberine is‚ however‚ known for its limited bioavailability; therefore‚ this product includes Caprate (C10‚ a Medium Chain Triglyceride) to promote optimal absorption and maintenance of gastrointestinal comfort during Berberine supplementation. Other Ingredients: Softgel capsule (bovine gelatin‚ glycerin‚ water‚ caramel color)‚ beeswax and sunflower lecithin. 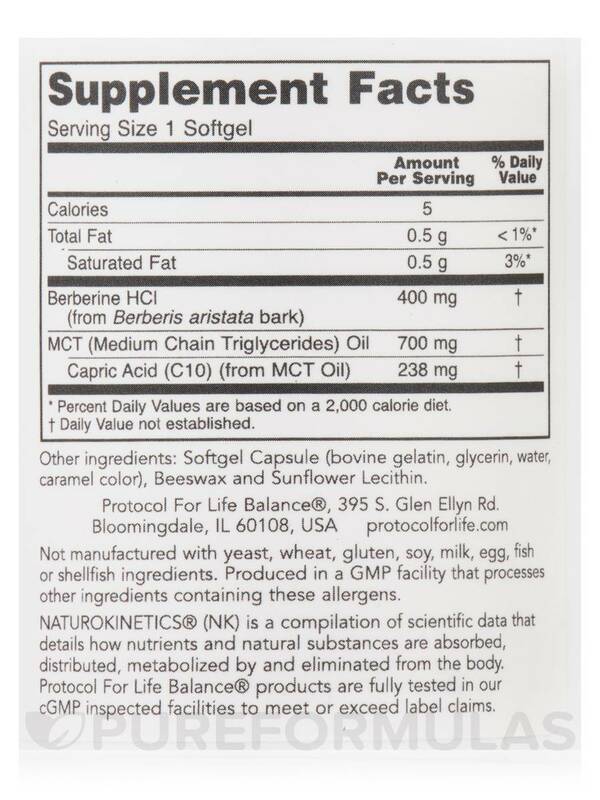 Take 1 softgel 3 times daily with food‚ or as directed by your healthcare practitioner. 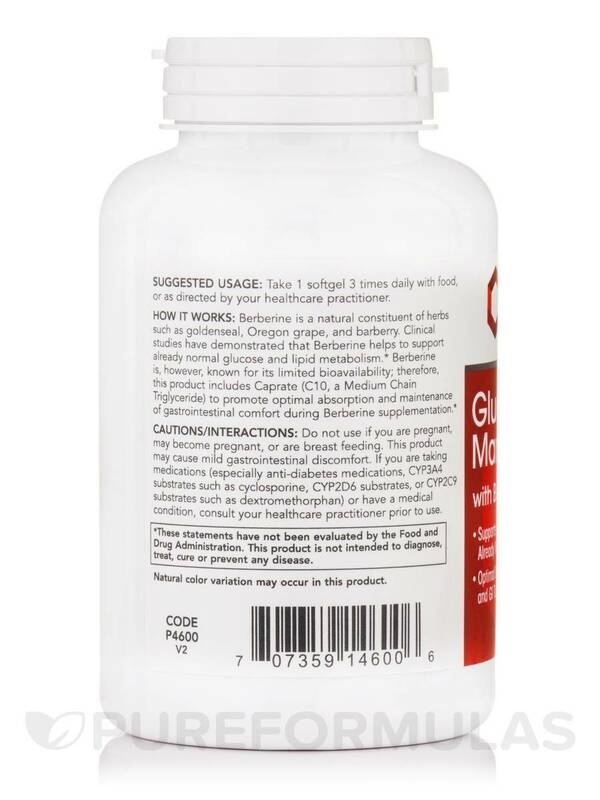 Do not use if you are pregnant‚ may become pregnant‚ or are breast feeding. This product may cause mild gastrointestinal discomfort. If you are taking medications (especially anti-diabetes medications‚ CYP3A4 substrates such as cyclosporine‚ CYP2D6 substances‚ or CYP2C9 substrates such as dextromethorphan) or have a medical condition‚ consult your healthcare practitioner prior to use.